You, too, can have a life-changing experience. In order to receive a prophecy or something of this nature, you must be present in a service when the gift is in operation. 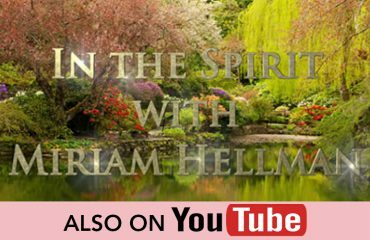 Invite Miriam Hellman to minister in your area! 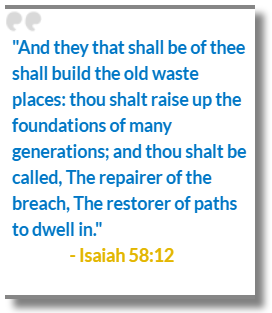 It was the hand of the Lord upon you that brought you to Prophetic Ministries. God looks out for us in many ways, teaching, instructing and guiding His people in the way He chooses. I am sure He knows how greatly your life and the lives of those whom you love will be changed and helped supernaturally through the work of the Holy Spirit that is evident throughout this ministry. The products we offer you will jump start you into a life of inspiration, success, and amazing discovery. There is no time like the present to begin a fresh, new, and highly promising approach that will lead you on the path to true success in life as described in the words of Jesus, "I have come that you might have life, and life more abundant." We want you to know that we pray for you for you truly will be blessed as you partake of the riches of God that you find here and in our meetings. We invite you to be with us in a service soon, so that you, too, can be refreshed by the presence of the Lord. Come and bring someone who needs a miracle. Miriam Hellman is a noted Christian author who ministers throughout the world with an apostolic and prophetic calling. The miraculous results of her ministry and powerful prophetic anointing have impacted the lives of key persons and nations around the world. As head of Prophetic Ministries, Miriam Hellman is known for her excellent teaching and training abilities. Prophetic Ministries trains and develops “special forces” in God and sends ministry teams throughout the world under the direction of the Holy Spirit to reach all nations with the glorious Gospel of Jesus Christ and the miracle-working power of God. In today’s world of new entrepreneurial ventures and solutions, Miriam Hellman ranks among the most innovative in her field. She is known for her School of Mentoring, which helps individuals attain their highest potential for success in life, in Christian ministry, or in secular careers. 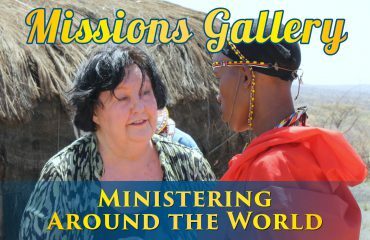 Prophetic Ministries hosts conferences across America and evangelistic outreaches and healing crusades both here and abroad. Our materials present the truths of God with remarkable clarity and insight. They are end-time gifts to further the development of God in His people so that all may reach their ultimate potential in Him. PROPHETIC MINISTRIES is called as an Apostolic Church commissioned by God for the proclamation of the full gospel of Jesus Christ. PROPHETIC MINISTRIES is charged with the ministry and message of Jesus to the church at large, as expressed in Jesus’ messages to the seven churches of Asia Minor. The messages to the churches in Revelation have both universal application to spiritual characteristics of particular churches, as well as individual application to different people in the same church. The development of overcoming churches as well as individuals is our primary interest. God has given Miriam Hellman the ability to perfect a true overcomer, described in the Bible as one who is capable of doing exploits for God. Overcomers are those who run for the prize and go for the gold. 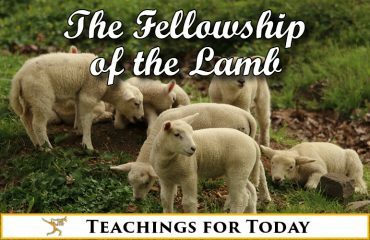 PROPHETIC MINISTRIES ministers to the universal body of Christ, both in America and abroad, preparing Christ’s body to become purified and perfected for the day of His return. 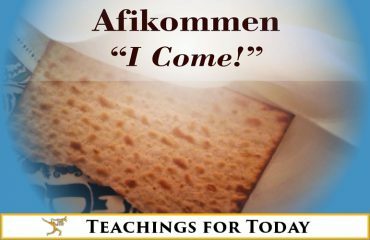 The second and equally important role Prophetic Ministries is called to fulfill is the Great Commission. PROPHETIC MINISTRIES has accepted the Holy Spirit’s challenge to preach the Gospel to every creature. As the apostles in the Book of Acts entered the world stage for the purpose of preaching the message of salvation in Jesus alone, so too Prophetic Ministries addresses world audiences today. As an END-TIME MINISTRY, Prophetic Ministries addresses the church and the world, declaring the judgment and mercy of God to all people. 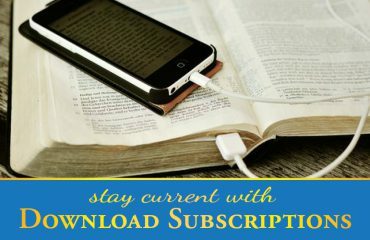 Prophetic Ministries addresses the issues of today in the most spiritually relevant and prophetic way through books, audio albums, and conferences. END-TIME MINISTRY must be characterized by engaging in world harvest through the supernatural outpouring of the Holy Spirit evidenced by signs, wonders and miracles demonstrated through faith in Jesus Christ and His Name. Prophetic anointing: An anointing for the profound that is both life-changing and history-changing in its scope. Miriam has been sent by God to prophesy to kings, rulers, presidents, and generals in world positions, as well as to chosen vessels of God in the Body of Christ. These prophecies have affected the courses of world history and salvation history. Anointing for end-time events, end-time works in God, and the highest levels of end-time teaching of Bible prophecy. Known for miraculous signs, especially in the area of creative miracles: the replacement of missing organs, restoration of organs, restoration of quadriplegics, and healings of all kinds. Conducts worldwide revival meetings in Europe, Africa, India, and the Middle East as well as conferences in the United States. Miriam Hellman has authored more than fifteen books; her ministry offers in-depth teachings covering every major subject in the Bible. Her materials have found a worldwide audience among those looking to obtain a higher and richer understanding of the Spirit of God, the Word of God, and world events. Miriam is being used to train those individuals who qualify for supernatural ministries, as well as those who are being raised up as special forces in God as intercessors, or those being called to the five-fold ministries. Miriam Hellman conducts Schools of Mentoring for those who understand the benefits of a personal mentor. Miriam Hellman is a noted Christian Author, a formidable Public Speaker, and a Personal Mentor par excellence. In today’s world of new entrepreneurial ventures and solutions, Miriam Hellman ranks among the most innovative in her field. She is known for her teaching ability, as well as for her ability to train and develop people to their highest potential, helping them to know and understand their talents. She conducts weekly meetings in Washington, DC, and special Schools of Mentoring to help individuals attain their highest potential for Success in Life, in Christian Ministry, and in Secular Careers. Prophetic Ministries develops, trains, and leads ministry teams throughout the world at the direction of the Holy Spirit. 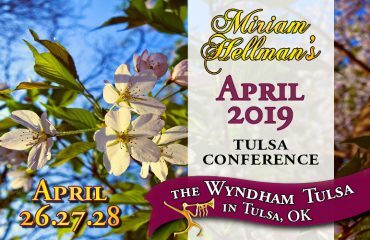 Miriam Hellman hosts conferences across America and holds evangelistic outreaches and healing crusades both here and overseas. Her ministry affects many nations, continents, and world leaders with the prophetic word and the miracle-working power of God. Prophetic Ministries is a nation-changing and nation-building ministry in the world today. We believe the Bible is the inspired Word of God and the revealed will of God. “All scripture is given by inspiration of God, and is profitable for doctrine, for reproof, for correction, for instruction in righteousness” (2 Timothy 3:16). We believe in the tenets of the Lord’s supper. “And when He had given thanks, He broke it and said, “Take, eat: this is my body which is broken for you. Do this in remembrance of me.” In the same way He took also the cup, after supper saying, ‘This cup is the new covenant in my blood, do this, as often as you drink it, in remembrance of me.’ Let a man examine himself, and so eat of the bread and drink of the cup” (1 Corinthians 11:24, 25, 28). We believe in the second coming of Jesus, His soon return for the gathering of His saints. 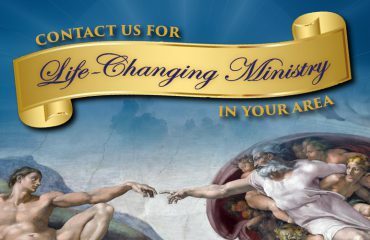 "I greatly appreciate your ministries unto the Lord. I cherish all the gifts in this Ministry to help me mature and stay faithful til He comes again." "My life in Christ has been so much more enriched, less of me, more of HIM!" "Thank you for your ministry all through the year. 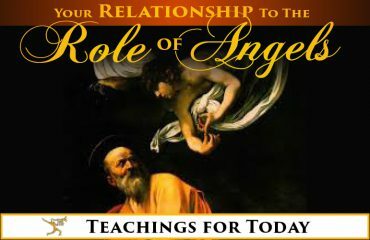 I listen to your teachings every morning and am always refreshed and strengthened for the day." 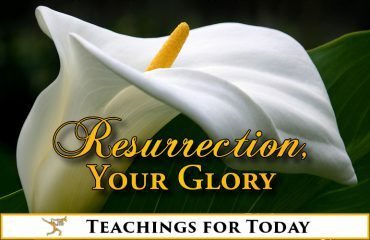 "Thank you so much for showing the way to a greater and wonderful life in God. With your help, I am truly stepping into a new life, a new world, and a new way! New hopes are born in my heart! I'm so grateful." "The LORD is so AWESOME, the message was again perfect and, I felt, custom made for me. I know it is for everyone but it's amazing how key scriptures and words that have been in my head these past couple of weeks were talked about by Miriam. It helped me in so many ways!" We accept PayPal. The safer, easier way to pay! PayPal account is not required to purchase from this website. You will receive an e-mail for immediate download after your payment has been processed. Call 1-800-869-5615 to purchase or redeem a gift card. Stay Current with Social Media!